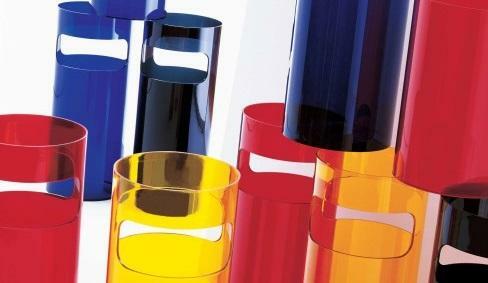 Designed by Gino Colombini the umbrella stand has been part of the Kartell portfolio since the 1960s. 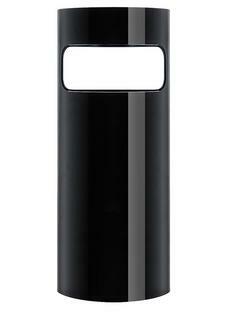 Cylinder-shaped and made of ABS, thanks to its robust material the Kartell umbrella stand is particularly suitable for public events and outdoor use, but is also a useful helper at the entrance to any residential building. 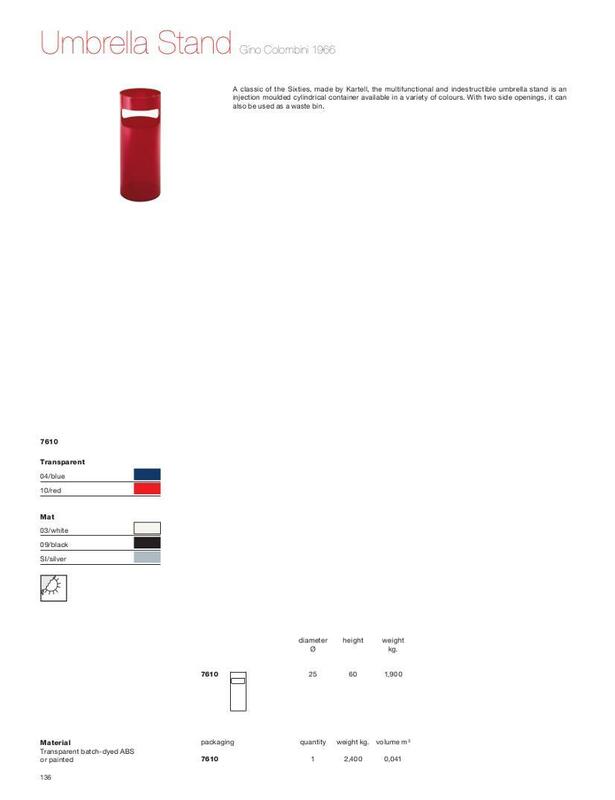 Designed by Gino Colombini for Katell the reduced umbrella stand has been part of the Italian manufactures portfolio since the 1960s, a fact which speaks unambiguously for its durable design and high functionality. Manufactured from batch-dyed transparent or painted ABS, the umbrella stand is practical, functional and aesthetically enriching whether placed in the domestic entrance hall, in a public building or at major events. In addition to offering storage space for several umbrellas the Kartell umbrella stand with its 25 cm diameter can also be used as a waste paper bin. Gino Colombini's design was honoured in 1972 with a silver medal at the Bauzentrum Wien. Since 1949 Kartell has produced contemporary designs which reflect the Italian zest for life and has produced modern plastic designs which enhance interiors without threatening the environment.